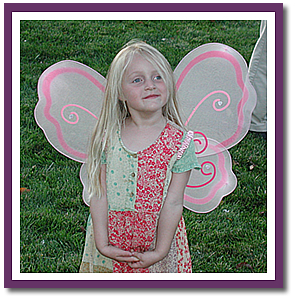 The Josephine Marie Herzon Memorial Foundation was established to honor the memory of our daughter and niece Josephine, who, in July 2005, at the age of 5­1/2, succumbed to an extremely rare form of childhood brain cancer (diffuse intrinsic pontine glioma). We are incorporated in the state of Missouri as a Public Benefit nonprofit corporation. Our board of directors comprises Ben Herzon (Jo's uncle), Marta Gray (Jo's aunt), Aaron Herzon (Jo's father), and Julie Herzon (Jo's mother). Our federal tax ID number is 26-0130124. We are exempt from Federal income tax under section 501(c)(3) of the Internal Revenue Code, and contributions to the Foundation are deductible under section 170 of the Code. We raise funds through community activities and distribute those funds to organizations that further our dual objective: (i) to find a cure for diffuse intrinsic pontine gliomas in children, and (ii) to provide recreation, comfort, and emotional support to children diagnosed with this and other life-threatening diseases. Furthermore, we have established an endowment that will make distributions to these organizations in perpetuity.